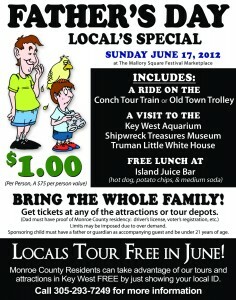 Why not treat dear old dad to lunch, a tour and Key West’s best attractions? Each year we have a Father’s Day promotion that includes lunch for only $1. That’s right! So head on downtown this Sunday, June 17 and let dad know how much you love him! In the words of Andy Williams, It’s the most wonderful time of the year. Our thoughts turn not to December, but June. Why June in Key West? 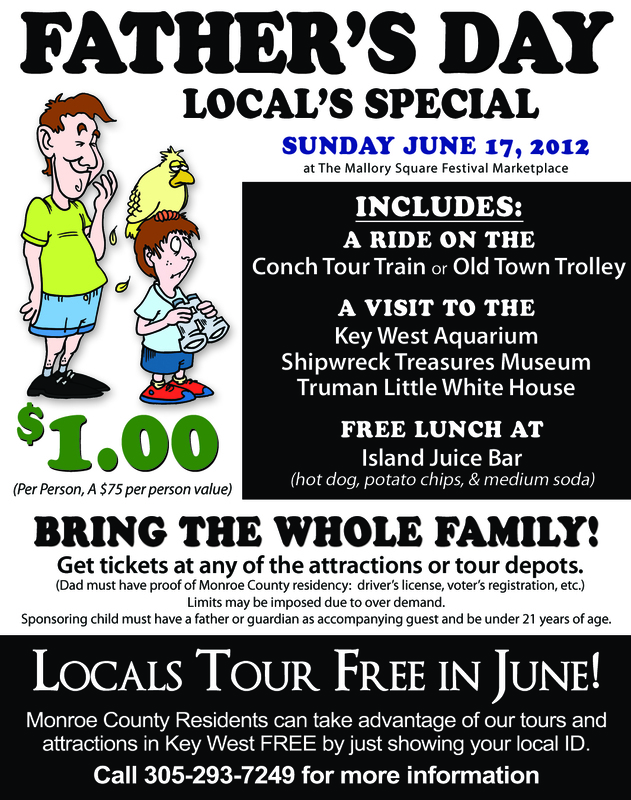 Well for us June means Local’s Month, where not only are our tours free to all residents of Monroe County, but the Key West Aquarium, Conch Tour Train, Harry S. Truman Little White House and the Key West Shipwreck Treasures Museum as well. It is our way of inviting the people who support and recommend us all year long, to come down with their families and enjoy being tourists in their hometown and enjoy all that Key West has to offer. All we ask is that you bring proof of Monroe County residency. You are currently browsing the Old Town Trolley Tours Blog blog archives for June, 2012.